Even though there is an ample amount of alternatives available for Office, Microsoft’s Office act as a base for all. For all those who prefer Office over others, Microsoft has released the latest version for Mac and PC. The Office 2016 is now available for both platforms as a single time purchase for a mere $149.99. However, the cost does not include an Office 360 appendage. Student 2016 and Office Home for a single Mac constitutes Excel, Word, OneNote and PowerPoint. However, users should have an OS X 10.10 or later to use Office 2016. 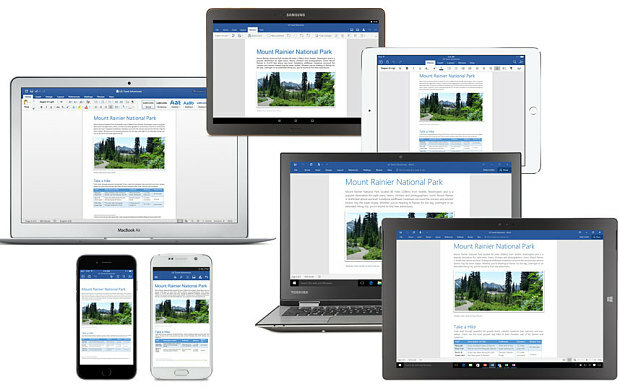 Considering Windows, Office 2016 have been released after three years followed by some newly added features and major design changes for enhanced productivity. These features have been designed to take advantage of the stalwart productivity apps working in a cloud computing age. 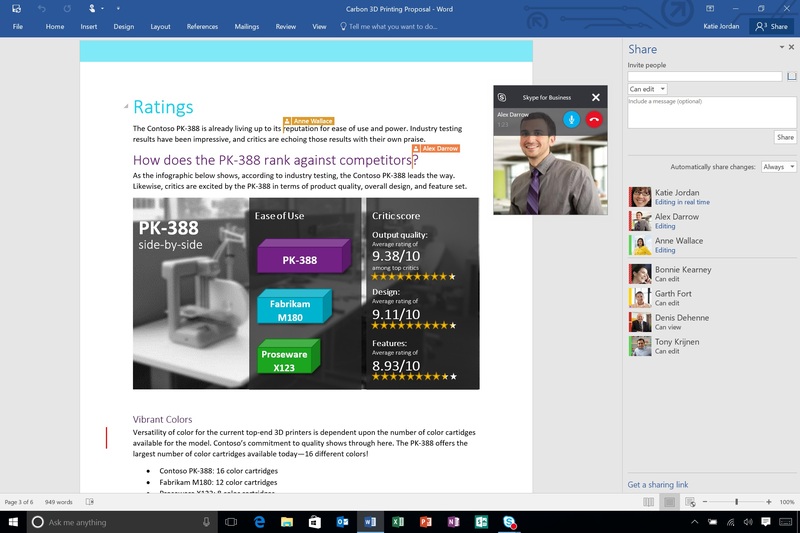 Enough with the general details, let’s dive in to see what major additions have been made part of the Office 2016. Office 2016 for Mac features 15GB of OneDrive storage and Offline storage. However, it lacks Outlook, Access, Publisher, Access, an hour of a Skype call, tablet or smartphone support and the inability to update instantly and receive technical support which is included in the Office 365. Even though there is not support for a lot of things, Mac users will still be able to make do with standard work. Moreover, Business 2016 and Office Home is available for $229.99 on Mac, which includes Excel, Word, PowerPoint, OneNote and Outlook. On a more comparative note, Office 365 Personal subscription service costs a mere $69.99 annually and Office 365 Home costs $99.99 for the same time period. On the PC or Windows side of the story, Business 2016 and Office Home will be available for $99.99 and $69.99 respectively as of an annual subscription. However, if Windows users want it as a single time purchase, it will cost them a mere $229. On the other hand, Office Professional 2016 for Windows running devices will be available for $399.99 which will be packed with Access and Publisher. It is definitely good to see Windows finally rolling out a new version of the Office for Windows. If you want Office 2016 for Windows, you must have Windows 7 or later. 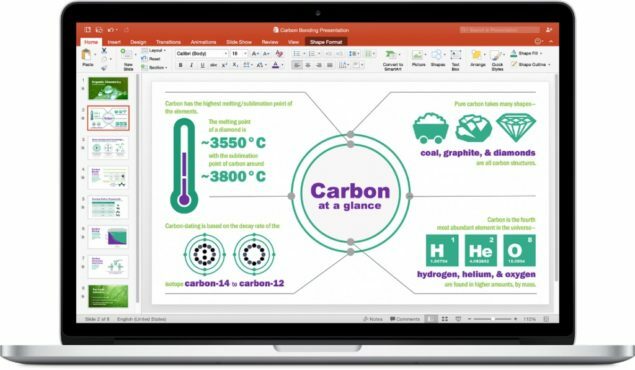 Office 2016 for Mac and Windows brings a lot of changes compared to the previous version. The novelty includes some UI design changes as well as new features introduced for better integrated apps and more. The new version will definitely enhance productivity for both Home and Office use. This is it for now, folks. Do get Office 2016 for Mac and Windows and share your experience in the comments.